The sport was originally designed for small terriers (i.e. Jack Russells) but any dog may compete as long as it can fit through an 18 inch by 22 inch tunnel. Note: The tunnel size does not change regardless of the size of the dog. Jedi and I took a Barn Hunt seminar a couple weeks back and loved it. I wanted to get a few pictures to share, but honestly I was having too much fun to really think about it. I'm not surprised that Jedi did well at this, especially with how much he enjoyed herding and nose work. We started by introducing the dogs to rats. 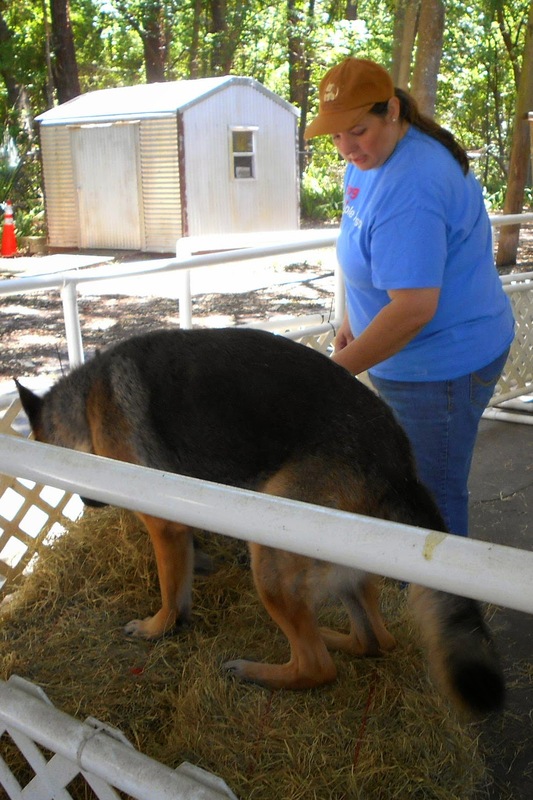 Here Jedi's mother, Zasha, was trying to figure what that thing in the cage is. 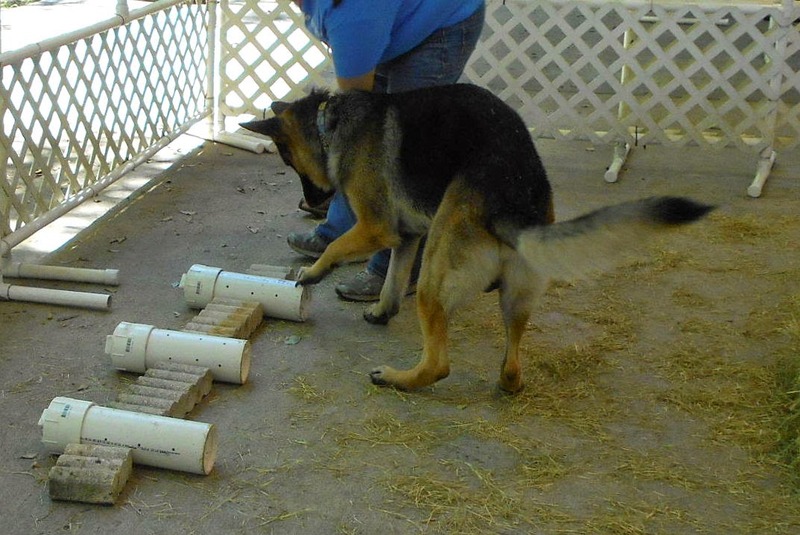 Next, the rats were hidden in dog-proof tubes. The dogs had to figure out which tube had the rat. (Only one tube has a rat. One of the other tubes was completely empty, and the third one contained used rat litter, but no rat.) 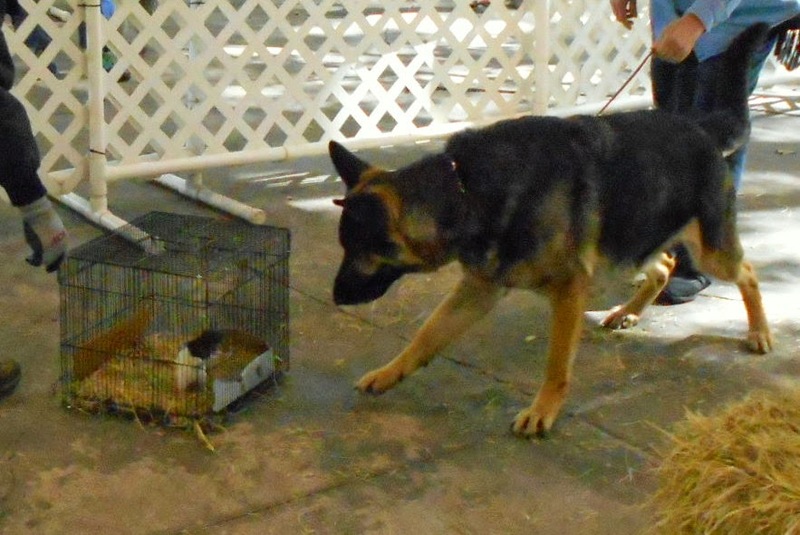 Jedi found the rat right away! Later, the rat tubes were hidden in bales of hay. Jedi found the right one! 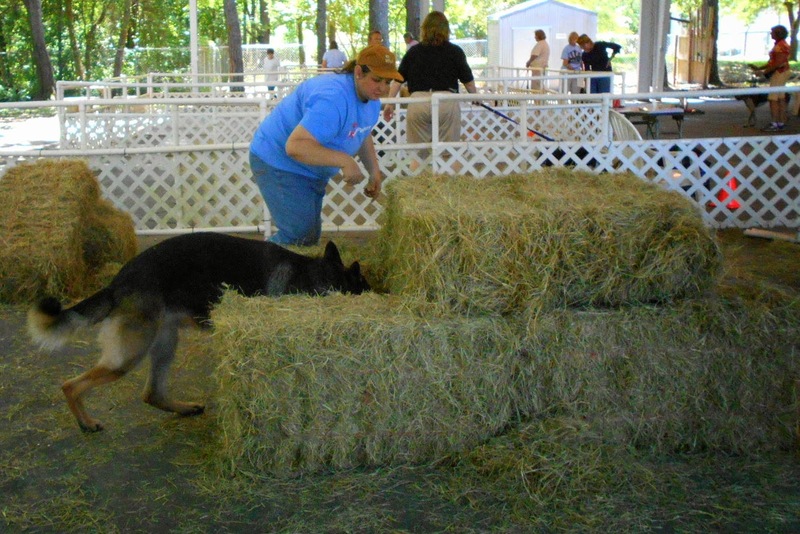 In addition to finding rats, dogs have to climb up with all four feet touching the same hay bale. This is not so easy when you're as long as Jedi. The last challenge was the most difficult for Jedi. 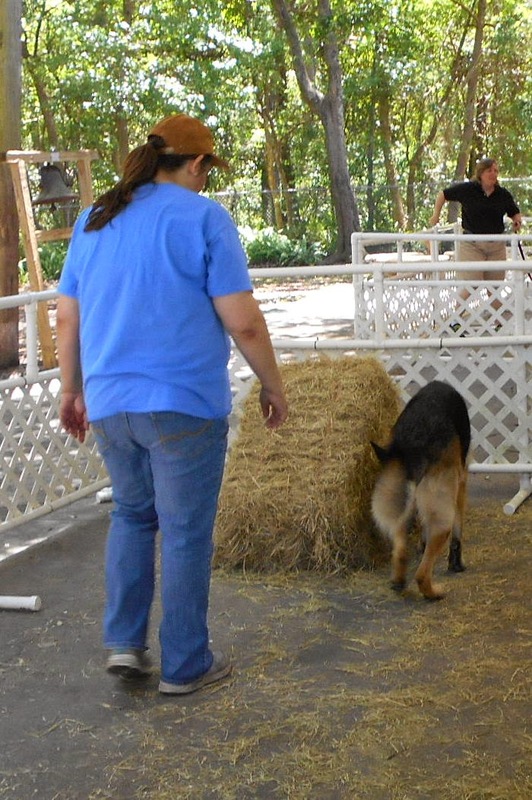 All dogs must go through the hay tunnel. It was dark and prickly, and Jedi had to squat to get through. 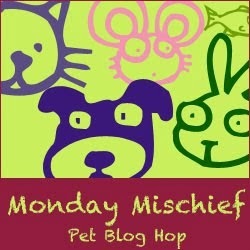 It's Monday Mischief! See what kind of trouble others are getting into (or avoiding!) today.